Illinois led the Big Ten in steals (11.0 per game) and turnover margin (+5.2 per game), ranking eighth and 13th in the nation, respectively. The Illini broke the school record for three-pointers made in a season with 202. Senior guard Amber Moore and junior guard Ivory Crawford were named honorable mention All-Big Ten after finishing in the top 12 in the league in scoring. Moore was 10th at 15.3 points per game, while Crawford finished 12th at 14.4 points per game. 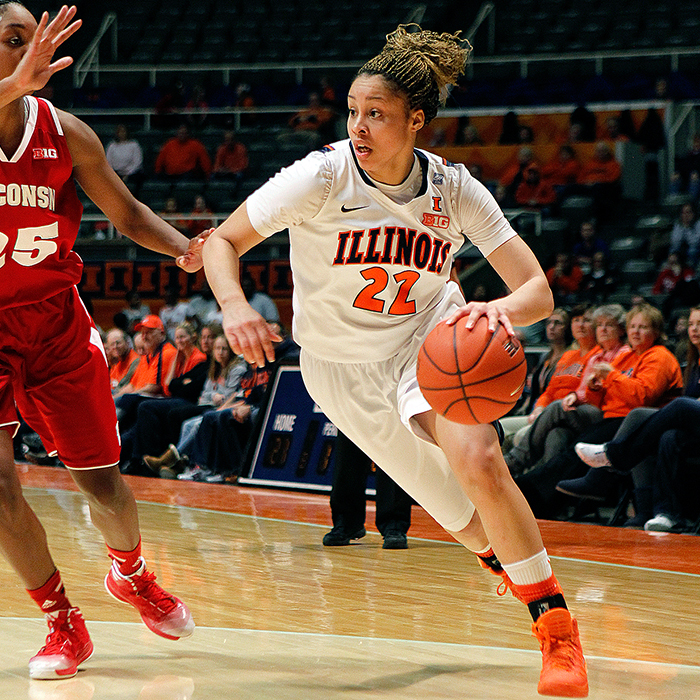 Crawford also finished third in the Big Ten in steals (2.2 spg), while Moore was ninth (1.7). Amber Moore and Ivory Crawford both eclipsed the 1,000-point mark, while Moore broke school records for three-pointers in a season (88) and a career (295). 61-51 win at Michigan State, Jan. 23. MSU was receiving votes in the Associated Press poll at the time.